Until recently, traditional dentures were the only option for replacing a full arch of missing teeth. However, dentures have many disadvantages. They can make clicking noises while eating or speaking, and they only provide 10 percent of normal chewing power. Dentures can slip and move, causing irritation and sore gums. 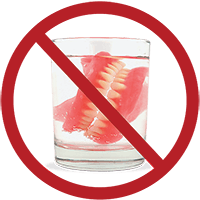 They don’t provide the stimulation necessary to keep the underlying jawbone healthy, so bone loss is a progressive side effect of denture-wearing. As bone continues to diminish, the denture loses its snug fit and has to be relined or refashioned repeatedly throughout the years. All of these disadvantages have been eliminated with modern, implant-supported dentures. Dental implants are stable foundations for new replacement teeth that provide a high degree of chewing power. Patients can choose from two options: implant-supported, removable dentures fitted with special snaps so they can be removed as desired and for cleaning, or implant-supported, fixed-in permanent dentures. 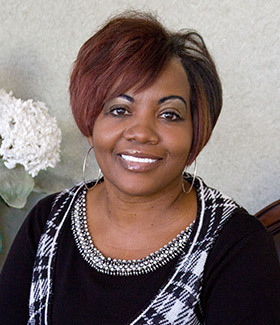 Dr. Field takes a comprehensive view of each patient’s individual situation, carefully considering their medical status, periodontal condition and available bone volume to ascertain which type of implant-supported option would be best for them. 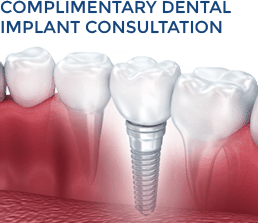 He is very experienced in providing implant-supported dentures and will take great care with every aspect of the creation of your new set of replacement teeth. He will ensure that your new teeth will be lifelike, durable and beautiful. 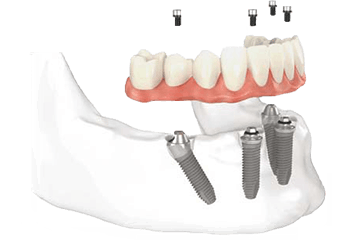 Dr. Field uses the breakthrough All-on-4 procedure to provide patients with a full arch of implant-supported, fixed-in teeth that only require four implants for stable support. Even if you have experienced severe bone loss that in the past disqualified you from receiving implants, chances are that you are a candidate for the All-on-4 procedure. The All-on-4 method takes advantage of dense areas of bone that exist in almost every patient, and usually eliminates the need for bone grafting. 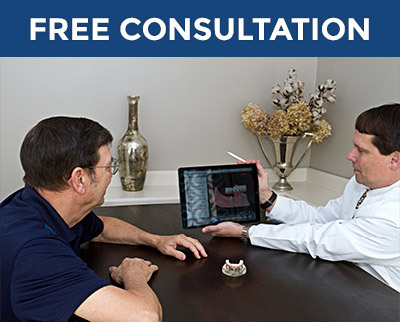 Dr. Field will use digital imaging to locate the areas of your jaw where there is sufficient bone volume and density for successful implant placement. Our modern, state-of-the art equipment enables him to precisely plan your implant-supported new teeth so that they will be well-fitting and will result in excellent bite alignment. 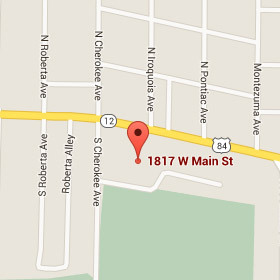 Dr. Field is especially proficient in designing and crafting beautiful, durable, natural-looking replacement teeth. He has taken hundreds of hours of advanced training and uses the best materials to ensure your new teeth will appear lifelike, fit well and look completely natural. Your implant-supported new teeth can either be made out of high-quality, medical grade acrylic or from state-of-the-art, ultra-strong and lifelike zirconia porcelain. Dr. Field will make a recommendation on which material he feels would be best in your case. Removable implant-supported dentures are another option which can be more economical while providing similar benefits. Dr. Field will craft lifelike, beautiful dentures using top-grade acrylic and will fit them with special snaps that attach to your implants. The snaps will hold your denture firmly in place so there will be no slippage or need for dental adhesives, as with regular dentures. With implant-supported removable dentures, you will have up to 60 percent of the chewing power of natural teeth, as compared to 10 percent chewing power provided by traditional dentures.